What are the symptoms of combination skin? What is a good combination skin routine? Combination skin refers to skin that has both oily and dry areas. The phenomenon has been linked to genetics, diet and some lifestyle factors. Not everyone believes it is a real condition. Despite the disbelievers, there are many cosmetic products targeting this skin type. Combination skin is just what it sounds like — skin that is a mix of both oily and dry areas. According to Dr. Monique Kamaria Chheda, a board-certified dermatologist who practices in both Maryland and New Jersey, combination skin is generally one of two types. A second type, she notes, can be described by drawing an imaginary ‘T’ on your face. The areas of skin under the ‘T’ are oily while the areas outside of it are dry and sometimes flaky. With this skin type, you will typically notice enlarged pores in your T-zone and may experience more acne breakouts. Wrinkles and fine lines as well as enlarged and clogged pores occurring simultaneously may also indicate combination skin. Esthetician Heather Wilson, Director of Brand Development at InstaNatural in Orlando, FL, points out that combination skin means that the skin is experiencing different levels of oil production, with the forehead, nose and chin generating more oil than cheeks and jaw. It’s all in the genes… or mostly. Your skin type is an inherited trait — so, if family members have combination skin, chances are you do too. You may be prone to clogged pores, particularly on your nose, created by an overproduction of sebum (an oily secretion that lubricates the skin). A lipid deficiency and low sebum production will result in dryness in other parts of your face. The products you use on your face can also have an effect. Some facial cleansers contain harsh ingredients like alcohol that are known to dry the skin. Exfoliants may also create extreme areas of dryness. As your skin works to overcompensate, products that strip the skin of natural oils can actually result in the production of more oil, not less. Note, it’s not that these products create combination skin, but their use might worsen the situation. Several factors can help you determine if you have combination skin. One of the more obvious indications is seeing oil form on certain sections of your skin within minutes of having washed it. You notice larger pores on your nose than on your cheeks or chin. You can see some areas of dryness inside your T-zone, characterized by flakiness, and you may also have dandruff. In warm temperatures or climates, you notice more oily spots on your face. Your skin has an outbreak of acne in one area and patches of dryness in others — at the same time. Finally, a good telltale is if you find it difficult to care for your skin and can’t seem to find products that properly treat your entire face and neck. You may have found that some absorb too much oil while others overly hydrate your skin, and none make your skin feel truly balanced. Exercise, as this will get your heart pumping and deliver important nutrients to your skin. Manage your stress to prevent break outs. Drink lots of water and eat foods rich in essential fatty acids. For your daily skin regimen, Wilson says it is best to look for light products that contain water-based hydrators, like hyaluronic acid or aloe vera. “Finally, regular exfoliation ensures that the skin’s natural turnover rate functions properly, which balances combination skin types. For best results, follow a basic skin care routine morning and night,” she advises. Cleanse your face every day with a water-soluble lotion or gel. Use a hydrating toner and an exfoliant weekly. In the daytime, protect your skin from the sun and at bedtime, use a liquid or gel moisturizer. As a general rule, avoid using products that contain alcohol or sulfates. Moisturizers that contain mineral oil are also to be avoided, as they may clog your pores. Chheda suggests that for seasonal combination skin type, it might be necessary to use a thicker moisturizer for the winter and a lighter oil-free moisturizer in the summer. 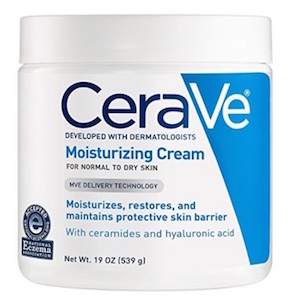 For dry skin in the winter, she suggests a product like CeraVe Moisturizing Cream, which is loaded with ingredients like ceramides, triglycerides and cholesterol to help repair the skin barrier and enhance the skin’s own ability to stay hydrated. For the summer, she generally recommends something lighter and water based, like Neutrogena Hydro Boost Water Gel. 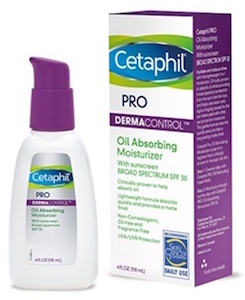 Chelda recommends Cetaphil’s PRO Oil Removing Foam Wash. If a moisturizer is also needed in these areas, the foam wash can be followed with a product like Cetaphil’s PRO Oil Absorbing Moisturizer. For drier spots, she suggests an emollient-based moisturizer like La Roche-Posay Toleriane Double Repair Face Moisturizer, or CeraVe PM Facial Lotion. For your daily cleansing needs, there are several good products that gently cleanse the skin, like the Cetaphil Skin Cleanser recommended by Chheda. Wilson suggests InstaNatural’s Vitamin C Cleanser, which will balance the skin without stripping dry areas and offers anti-aging benefits. The Neogen Green Tea Real Fresh Foam Cleanser is also a great cleanser that balances the skin and fares well with most users. 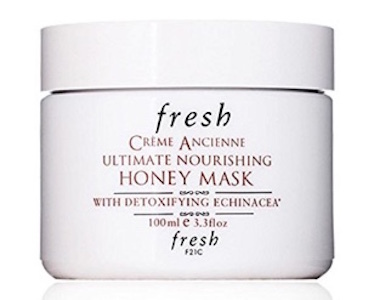 When it comes to moisturizers, try a lotion like Vichy Normaderm Daily Anti-Acne Hydrating Lotion or the Fresh Crème Ancienne Ultimate Nourishing Honey Mask. If oily build up is a particular issue for you, try an oil-absorbing clay mask like GlamGlow SuperMud Clearing Treatment. Finally, for weekly exfoliation use Acure Radically Rejuvenating Scrub, recommended by Wilson. She notes that it works to slough away dead skin cells and support optimal skin health while also allowing treatment products to be absorbed more effectively by the skin. » For more advice on combination skin care, schedule an appointment with a cosmetic doctor using Zwivel’s free online consultation tool.